On April 24th, 2016, The First Tee of Broward program concluded for the year at the end-of-program luncheon. Officially, the mission of this organization is to impact the lives of young people by providing educational programs that build character, instill life-enhancing values, and promote healthy choices through the game of golf. In teaching golf to teens and students, The First Tee hopes to aid them in learning the non-physical skills necessary to, for one, successfully play golf, but, also, to succeed in general life endeavors. Discipline and perseverance, for instance, are values held by nearly every professional golfer, but they are not only applied in the golfing realm. Virtues such as these can be utilized across all facets of one’s life (work, school, family, etc.). The First Tee hopes to help its participants realize the skills paralleled between golf and life and implement those skills into their everyday lives. And, judging by the conversations between the students at the luncheon, The First Tee’s goal was accomplished. 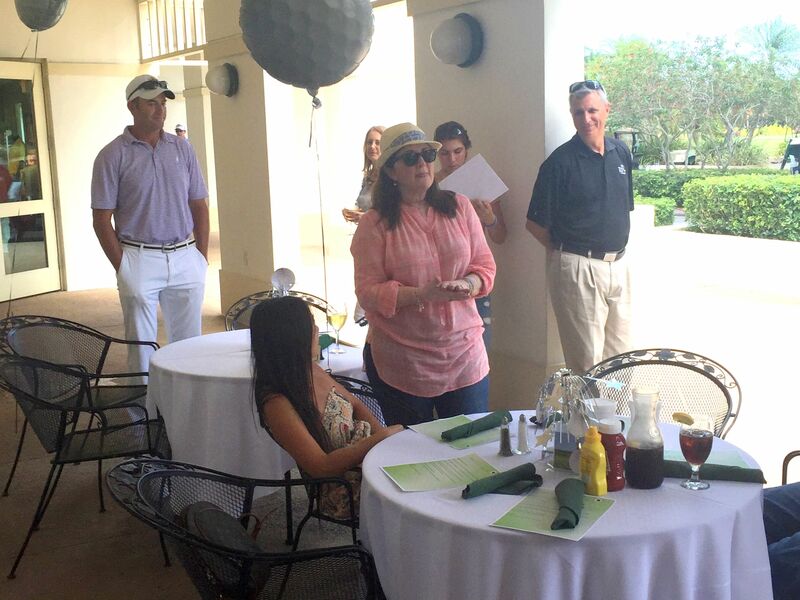 The HDS Foundation and Global Business Brokers teamed up and sponsored this lunch to thank the Cypress Bay High School Social Skills students, along with others in the community, for their participation in the program and the leaders of the program for their time and effort. Professional golfer Dustin Stearns and The First Tee of Broward program director Jack Bloomfield both attended the event. Additionally, one parent of each participant, along with the participants themselves, were invited. Those at the luncheon seemed to enjoy the food and company greatly, and the students were all overjoyed to receive accolades at the award ceremony. The program participants and their parents also showed appreciation to Dustin and Cristina for continuing to help teens with autism and intellectual disabilities. As a result of the success achieved throughout the program, The First Tee of Broward is going to be arranged annually, and the HDS Foundation and Global Business Brokers will continue to sponsor it. The organization also plans in the future to extend the age range of allowed participation to even younger groups than this past one, eventually welcoming ninth graders and younger. HDS is thankful to have been a part of The First Tee this past year and is excited to continue collaboration in the years to come.